We were honored to participate in the groundbreaking ceremony for a new project in Charlottesville, VA on Wednesday morning. Hourigan is partnering with Stony Point Design/Build to transform the historic Monticello Dairy Building, constructed in 1937, into a mixed-use facility. Plans were first announced in September 2017, and we’ve had the privilege of working with Stony Point president Chris Henry and his team for over a year. The Dairy Central project will thoughtfully honor the history of the building while also bringing new services and amenities to the area. The original structure’s façade will be preserved, and the inside will be converted into a food hall and retail space for 14 vendors. The project will also include one new three-story office building, connected to the existing building, along with a second floor office addition to the existing building offering 50,000 square feet of office space, spots for two restaurants and two stores, and 175 apartments, 20 of which will be affordable housing units. 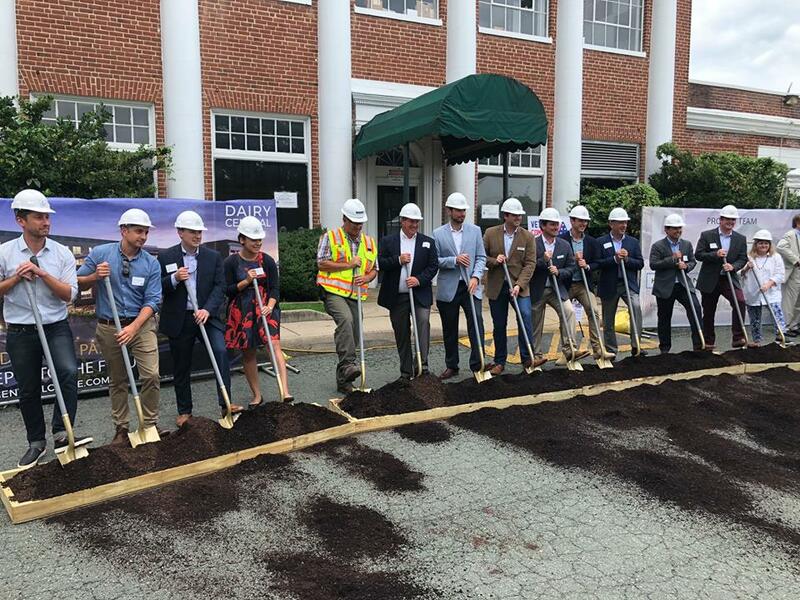 “We have long focused on establishing a presence of operations in Charlottesville, and we’re proud to plant a flag here and to become a part of the community,” said Mark Hourigan at Wednesday’s ceremony. The ceremony marked the beginning of the first phase, scheduled to be complete by 2020, of a 4 phase master plan for the Dairy Central project. As part of Hourigan’s goals to improve the community and bring jobs to the area, we will focus on working with local subcontractors and trade people, soon hosting a job fair. Construction will begin in September.